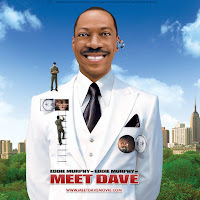 In the movie, Dave (Eddie Murphy) is a robot ship that looks like Eddie Murphy and carries its crew to Earth on a mission to save their planet. Not a bad weekend for the Falcon! So, What AAA Titles Are In The Falcon Lineup? Novint Announces Deal with Codemasters!